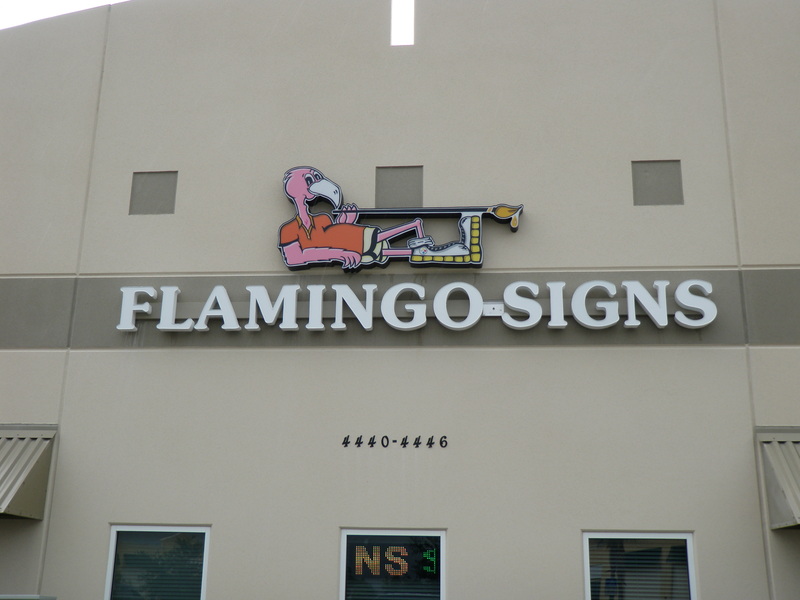 Flamingo Signs is one of South Florida’s most complete sign shops. Located in Stuart, Florida, our 7,000 S.F. facility gives us the capability to handle all of your sign needs. Anything from, small decals to large custom freestanding signs and full color digital LED displays. We can handle everything for you in a “one stop” shop. 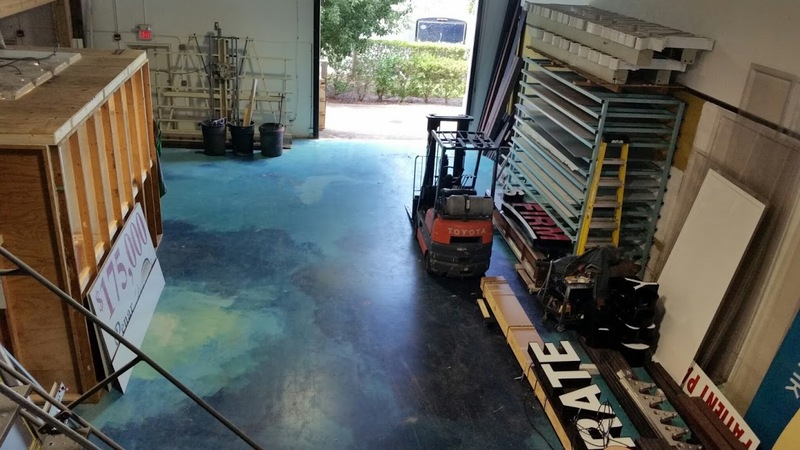 Our in-house fabrication and printing allows us to provide the highest quality signs at an affordable price without the need for outsourcing or middle men. We are a state licensed electrical sign contractor, fully licensed and insured. 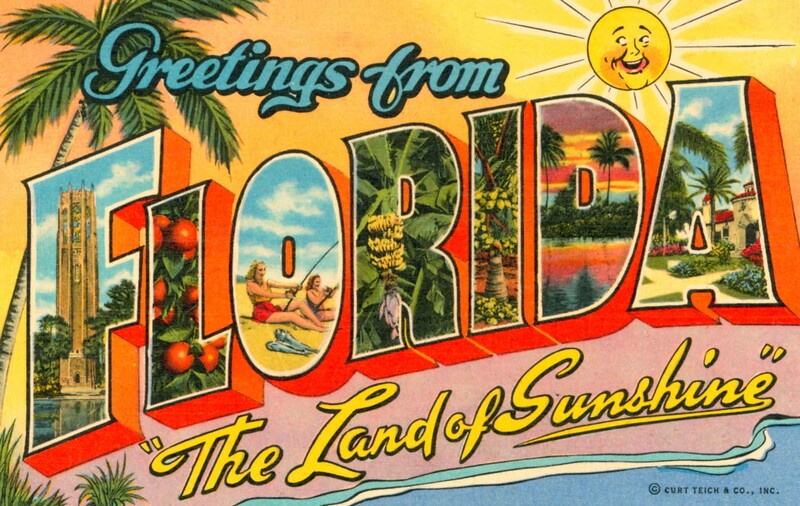 Our service areas are Palm Beach, Martin, St Lucie, Indian River, and Okeechobee Counties. 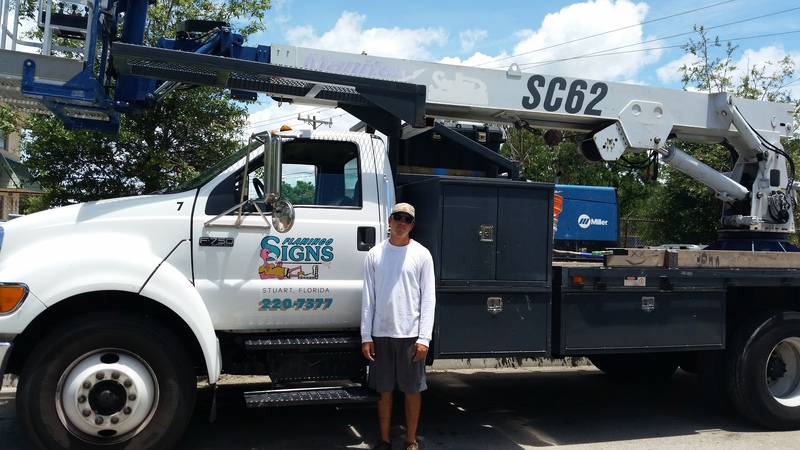 Our staff of 15 team members with years of experience and knowledge are here to help you, from custom designing that perfect sign through the completion, installation, and service. 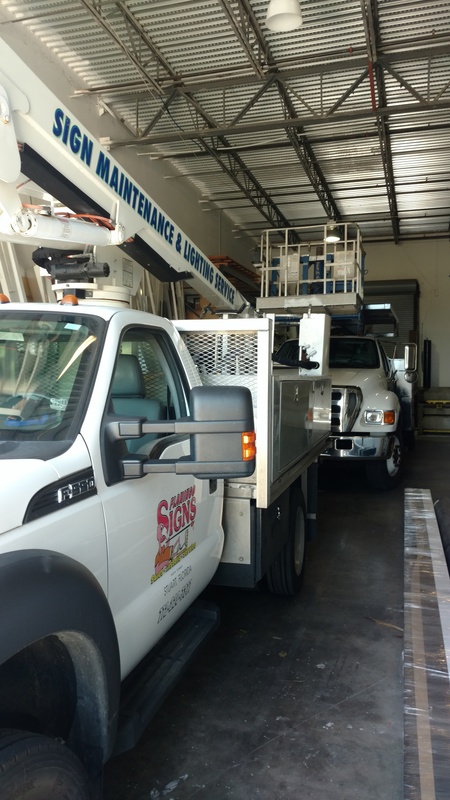 We have 2 service/install trucks. 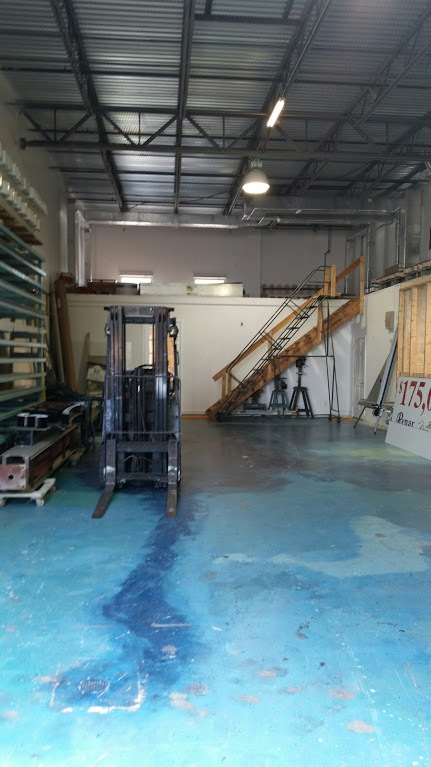 1 – 62’ Manitex lift/crane, 1 – 40’ service truck, and 1 – truck for small installs and service. Quality and customer satisfaction are our main focus to provide the best signs at a reasonable price. We want our signs to make you money!